Recently, Google confirmed the name of the next version of its operating system after Android 6.0 Marshmallow. 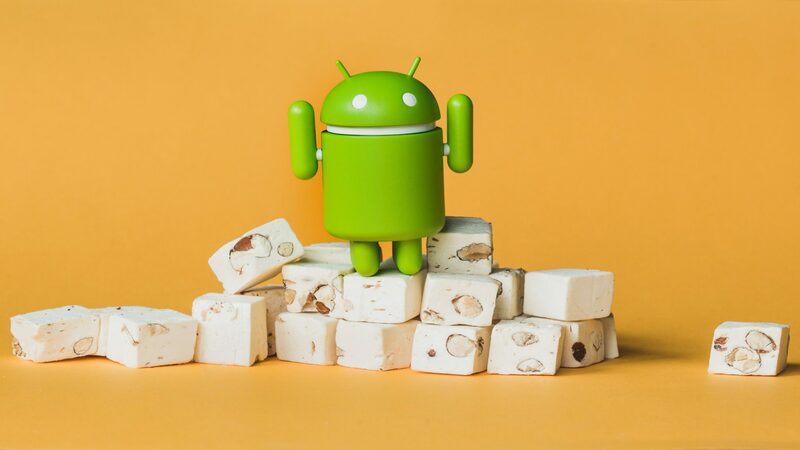 The new version is named Android Nougat, and the eligible devices will be getting the OTA update when the company officially announce the dates. This new version is not expected to bring many visual changes to the OS but is expected to bring major changes internally in the software.Click here to know more about the new features. Meanwhile, here is the list of devices that are confirmed & expected to receive the Android Nougat update. The first devices to receive the update are obviously the Nexus 6P and the Nexus 5X. As always the flagship Nexus devices are the ones to receive the update first, followed by the other OEMs. Both these Nexus devices will get the update at the same time once the company the update official. TheNexus 6 and the previously launched Nexus 5 might also receive the update, but it is not confirmed yet. According to the latest information, an update to the Rogers’ firmware update schedule shows that the HTC Nexus 9 is also going to receive the update soon. According to the list, it says the device will receive the Nougat update with security patches soon. So it is indeed confirmed that the Nexus 9 will also get the update. HTC confirmed that the high-end HTC smartphones would be getting the update to the latest Android software. The entire list of devices from the manufacturer was not given, but they confirmed a couple of devices which will be getting the update. HTC may take even a few months after the public launch of Android Nougat before it brings the updates to these three phones. Samsung hasn’t confirmed the update for the next Android version for any of its devices, but we are confident that the company will definitely update its current flagship smartphones. Apart from the Nexus 5X, LG is likely to update its current flagship smartphone and the last year’s variant LG G4. No other devices can be confirmed now, but it might be added to the list later. Sony confirmed the Android 7.0 Nougat update for a bunch of it’s devices on Z series. We expect them to update other devices also but as of now, we have confirmation on these devices. Motorola as a former Google’s mobile division used to update the device to the latest version of Android quicker than any other manufacturer. The Nexus 6 manufactured by the company, will be first one to receive the update followed by the other devices from them. The company will most likely be updating it current flagship smartphone as well as the last years’ variant to the next version of Android software. Other than the smartphones mentioned here, there will be more devices that will eventually get Nougat. For example, the new ASUS smartphones and some of the new Lenovo smartphones will also be getting the update. However, at this point, we don’t have any information, and hence we cannot confirm them as of yet. Once more devices will be confirmed, we will update the list accordingly. So if your device is not on the list yet, then stay tuned, as more devices might be added in future. Next articleSpread light and knowledge too ; Beam, smart projector.